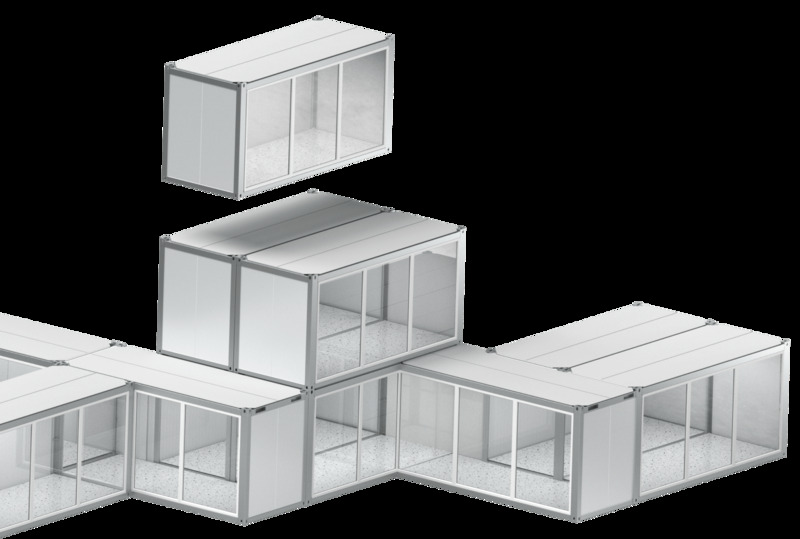 REM BOX storage containers present a quick and easy solution for storing equipment and materials in various fields. The lightweight support structure allows for easy transport and assembly. At the customer’s request, we can customize both the size and the selected materials. Based on the REM BOX container, we have also designed unique and user-friendly REM GARAGES offering weather and anti-theft protection for vehicles. The REM BOX storage containers have been designed to effectively protect various materials and equipment on construction sites, in car repair shops, in small companies, in shops, and the like. They are made from a lightweight support structure that allows them to be disassembled and assembled when needed. Locking the double-leaf door is possible with a bolt and a padlock or with a standard cylinder lock. Similarly, REM GARAGE is also user-friendly, since it is lightweight and quickly assembled. There are two available versions. It is available without a door or with a double-leaf door with a cylinder lock on the front side. We have designed a simple and efficient solution for a multi-purpose storage container for storing materials and equipment or for vehicle protection.